Mario Pollo Antiques at the Rhinebeck Antiques Fair. 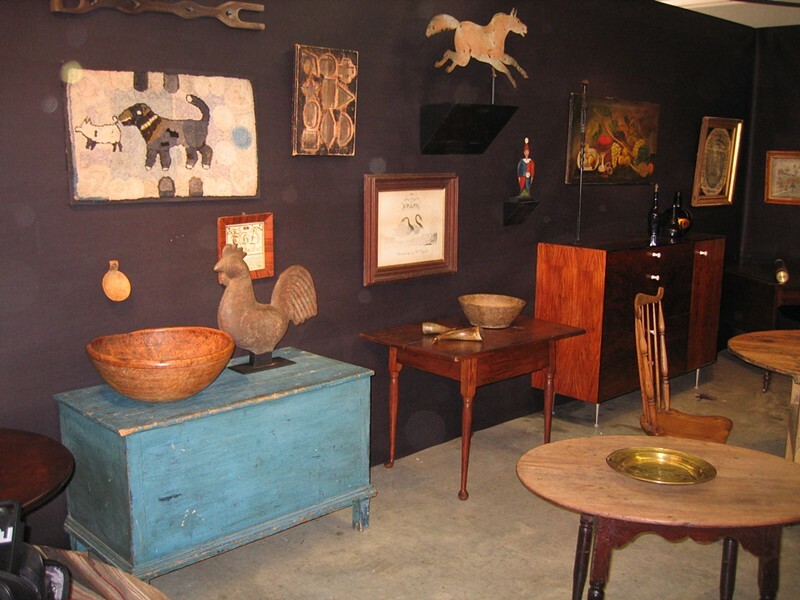 The 37th annual Rhinebeck Antiques Fair at the Dutchess County Fairgrounds features over 50 dealers from around the country, from art to furniture to jewelry. On the other side of the river, the 32nd annual Woodstock-New Paltz Arts and Crafts Fair at the Ulster County Fairgrounds includes work by hundreds of artisans.